Swift, Booker Prize-winning author of Last Orders, looks to expand his U.K.-based audience with this delightful collection of essays, interviews, musings and asides. Swift&apos;s valuable insight into matters of imagination, inspiration, composition and discipline speaks both to fans and aspiring authors. Though many of these pieces have been published elsewhere, their organization forms a compelling, consistent arc, held together by thoughtful reflections and explanations. Opening with an early memory of disillusionment, Swift relates his early discovery that ""in good fiction, without any trickery, truth and magic aren&apos;t incompatible at all."" Subsequent chapters build on this seminal idea, particularly through discussions of model writers like Isaac Babel, dissident Jirí Wolf, poet Ted Hughes (Swift&apos;s close friend), and Renaissance essayist Michel de Montaigne. In interviews with Patrick McGrath, Kazuo Ishiguro and Caryl Phillips, the subjects elaborate on their work but also provide new perspectives on Swift&apos;s craft. Rounding out the collection are frank tales of the writer life, ie what happens after the real fantasy comes true-getting one&apos;s book published; they include sparsely attended tours and dangerous film adaptations. 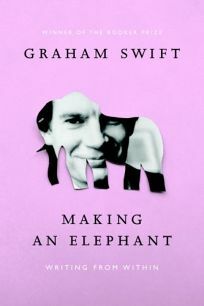 Swift&apos;s warm, relatable style humanizes both the talent for and process of writing.